Seminar paper from the year 2004 in the subject American Studies - Culture and Applied Geography, grade: 2,7, Johannes Gutenberg University Mainz (Institut fur Anglistik und Amerikanistik), course: Main Differences between British English and American English, language: English, abstract: "Mus tek cyear a de root fa heal de tree." This proverb meaning "you need to take care of the root in order to heal the tree" offers one of many examples of the regional variation of English known as Gullah. This language is as unique as its speakers combining people of different African tribes, descendants of the British immigrants, or those who came to America as indentured servants in the early 17th century. Out of this "melting pot," the Gullah variation developed - more than just a language or dialect, but a rich culture with a wonderful tradition of storytelling among other ways of life. Gullah, serving a vital example of original Creole language, revokes a great interest of the linguists from all over the world. For years, linguists referred to Gullah as a dialect of Standard English, but in the 1940s, as African-American linguist Lorenzo Turner researched African languages, it became apparent that Gullah did indeed have its roots in Africa. Following Turner's ground-breaking research, numerous other linguists considered an interest in study of the variation. One such linguist and professor who will be further discussed in this paper is Salikoko Mufwene, a native speaker of several Bantu languages originating from the Congo. 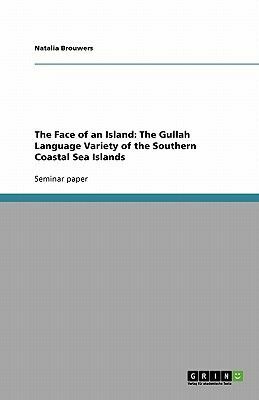 Aside from the research of Turner and Mufwene, this paper will also explain the origins and history of Gullah, its phonology, its grammatical structures, and the threats of the extinction of Gullah.